[Post updated Oct. 2018] Tenet Healthcare is no stranger to fraud. It wasn’t that long ago that the for-profit hospital chain paid a record $514 million fine to the government. That case involved paying kickbacks for patient referrals. The patients in that case were pregnant, undocumented Hispanic women. Some thought the case ended when the company and its subsidiaries paid the record fine. It didn’t. In January, the Justice Department indicted the Tenet Healthcare Senior VP of Operations, John Holland. This week Holland pleaded not guilty to four counts of fraud. He faces decades in prison if convicted of all counts. The indictment goes well beyond the recent scheme involving the kickbacks. The Justice Department says that Tenet Healthcare had been ignoring a Corporate Integrity Agreement since 2006. Holland has been charged with single counts of mail and healthcare fraud and two counts of Major Fraud Against the United States. In addition to the criminal charges, the government wants to seize and forfeit Holland’s property. He was released on a $3 million bond after his arraignment. The charges all stem from a Corporate Integrity Agreement signed by Tenet in 2006. That is the same year that Holland became Tenet’s SVP in charge of operations in the southern United States. The Agreement stemmed from an earlier case involving Tenet Healthcare and alleged violations of the federal Anti-Kickback Statute. In the 2006 case, not only was Tenet fined but they also entered into an agreement where they promised to “strengthen their policies” and insure there were no further violations of the Anti-Kickback Statute. Senior managers were also required to attend annual compliance training. Finally, the agreement required the company to self report any violations or questionable conduct. Between 2007 and 2012, Holland certified to the government that the company complied with the agreement. Obviously, it wasn’t in compliance. Instead of complying, the government says that Tenet Healthcare paid over $12 million in bribes in a scheme to gain patient referrals. They say that he actively worked with others to conceal their crimes from government review. The scheme itself is thought to involve $400 million in fraudulent billing. Prosecutors claim, however, that the company received over $10 billion in federal monies between 2007 and 2012. Had the government known of the fraud, the company would have been ineligible for any of these payments. Why mail fraud? The government charged mail fraud because the false certifications were allegedly sent by mail. Much of the money that Tenet receives comes from Medicare and Medicaid. Under state and federal law, Medicare and Medicaid fraud is a crime. The government claims that Tenet Healthcare lied to the government for years by falsely claiming to comply with the 2006 Agreement. The crime of Major Fraud Against the United States is rarely charged. It is used only when a government program has been defrauded of at least $1,000,000.00. The violations alleged relate to the annual compliance certifications they say were approved by Holland in 2010 and 2011. As noted above, Holland has been released on $3 million bail. As part of his release conditions, he was forced to surrender his passport and is barred from working in the healthcare industry while his case is pending. President Trump has asked the current FBI director to remain in command of the agency. Prior to the election, then Attorney General Loretta Lynch announced a new policy of going after the folks responsible for corporate fraud. The so-called Yates Memo suggested that big corporations could no longer buy their way out of fraud schemes by simply paying a fine. The only thing that gets the attention of the C-Suite Mafia is watching one of their own doing the “perp walk” on the evening news. The $514 million fine last October resulted in an $84.4 million whistleblower award! A former Tenet Healthcare hospital CFO got the ball rolling when he filed a claim under the federal False Claims Act. To claim an award, one needs inside information. Not only must the information be “inside” or non-public, the one claiming the award must be an original source of that information. If you work at Tenet or some other healthcare provider, chances are you qualify as an original source. Assuming you qualify, you must generally be the first to file a lawsuit in federal court. These complaints are filed under seal meaning they remain secret while the government investigates. Ultimately, the Justice Department can take over the case, ask that it be dismissed or allow the whistleblower’s own lawyers to prosecute. Depending on the facts, the award is 15% to 30% of whatever the government collects. 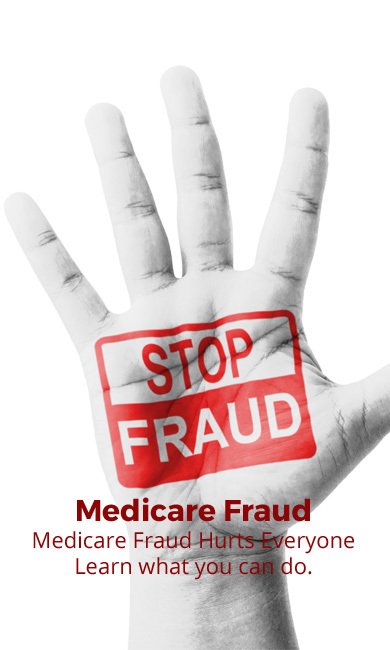 Tenet Healthcare Serial Medicare Fraud Offender? Nothing has changed since I uttered those words. Why do we believe the company should be shut down? It certainly isn’t because of the 100,000+ employees, almost all of whom are dedicated healthcare professionals. Tenet’s problems aren’t with the employees. Rather, we believe the problem is senior management. The decision to pay millions in kickbacks didn’t start with a nurse, doctor, lab tech or orderly. It came from management. In 1994 Tenet was known as National Medical Enterprises. Even back then, the company was paying record fines for fraud and wrongdoing, however. That year the company paid $380 million in civil and criminal fines. The violations? Kickbacks! That case involved tenet substance abuse clinics and hospitals keeping patients longer than necessary and providing unnecessary treatment. In addition to the fine, Tenet signed into the first of several corporate integrity agreements. In 2003, Tenet broke another record. This time for the largest fine in a medical necessity fraud case. The government claimed that a Tenet Healthcare hospital performed more than 600 unnecessary invasive heart procedures. The fine for that violation was $54 million. A year later in 2004, the company had to pay patients $395 million for those unnecessary procedure claims. Two years later, Tenet was back in the hot seat. In 2006, the company paid $900 million to settle a wide variety of Medicare fraud claims. These claims included “upcoding”, inflating costs, billing for services not provided and yes, kickbacks. In addition to the new record fines, the company entered into a second corporate integrity agreement. It is that 2006 agreement that has landed John Holland in the dock. That same year, Tenet went to trial in a kickback case that resulted in a deadlocked jury and a mistrial. Rather than face another jury, the company paid $21 million to settle the case. The 2006 criminal case involved allegations that Tenet Healthcare disguised illegal kickbacks as physician relocation fees. Prosecutors say that the payments were really payments made to reward doctors that admitted more patients. In 2012, Tenet Healthcare agreed to pay $42 million in yet another Medicare fraud case. In that case, prosecutors say that the company was billing Medicare for inpatient stays at rehabilitation hospitals even though many patients didn’t qualify. That case was one of the first to stem from a violation of an earlier corporate integrity agreement. Its alleged physician relocation payment scheme exposed, Tenet came up with yet another scheme. In 2014, the company paid $5 million to settle another False Claims Act whistleblower case. That suit alleged that the company disguised kickbacks as below market rate rentals. It is common for physicians to rent space in hospitals or nearby medical office parks. That makes it easier for doctors to see their hospitalized patients. Instead of paying kickbacks to doctors who admitted more patients, Tenet allegedly concocted a scheme in which these physicians were given below market lease rates in facilities owned by the hospital. One year later and Tenet was again in trouble. In 2015, five Tenet owned hospitals paid $2.2 million to resolve a whistleblower suit claiming the hospital admitted patients that could have been treated on an outpatient basis. The case involved a simple spinal procedure that rarely requires an inpatient stay. In October of 2018, several cardiologists at Detroit Medical Center’s (DMC) Heart Hospital accused Tenet of retaliation after they spoke out over poor patient care. Despite Tenet’s repeated promises to improve their internal culture, the lastest news suggests the contrary. The above summary highlights some of the larger Medicare fraud cases involving Tenet Healthcare. As we said earlier, our concern isn’t with the rank and file healthcare workers. If anything, they are victims too. In 2009, the company paid $85 million to settle wage theft claims related to unpaid overtime. What amount of fraud and deception will trigger Tenet’s exclusion from participation in the Medicare program? After 2 decades of Medicare fraud and three corporate integrity agreements, it’s time for the company to clean up its act once and for all or be sold to new owners. No one will lose their jobs except the executives responsible for this mess. We hope that the indictment of John Holland and the hint of more prosecutions to come finally gets Tenet’s attention. If not, we know that whistleblowers will continue to lead the charge. As leading Medicare fraud whistleblower lawyers, we welcome hearing from other concerned present and former Tenet Healthcare workers. All inquiries are confidential. If there was ever a time to come forward, the time is now. Uncle Sam is listening. We are listening. Taxpayers and patients are demanding better. or by telephone at (414) 704-6731 (direct). All inquiries are protected by the attorney – client privilege and kept confidential. Even if you were once involved in wrongdoing, it is better to come forward now. We can help and can also help protect workers against illegal whistleblower retaliation. MahanyLaw – America’s Medicare Fraud Whistleblower Lawyers – We Sue Tenet!